For a year now 51-year-old Hasan has been fighting Ischemic Heart Disease which is a condition that affects the supply of blood to the heart. This condition causes severe chest pains and if not treated, can even cause heart failure. Hasan's heart has 99% blockage which has made him very weak. He was an Arabic teacher but at his age to suffer from a heart disease has led him to stop teaching. 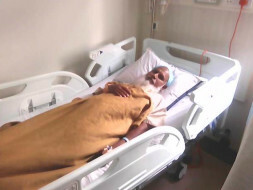 He has been advised by the doctor to undergo an Angioplasty (heart surgery that removes any blockages in the heart). "Two years back, I started experiencing chest pains. It became difficult to carry on working after that as the severe stab in my heart made it impossible for me to carry any kind of load." This condition causes severe chest pains and if not treated, can even cause heart failure. He tried to carry on with his work and ignored the pain, despite the risk for two years. But now, the doctors say that it might be time to think about himself and get better. 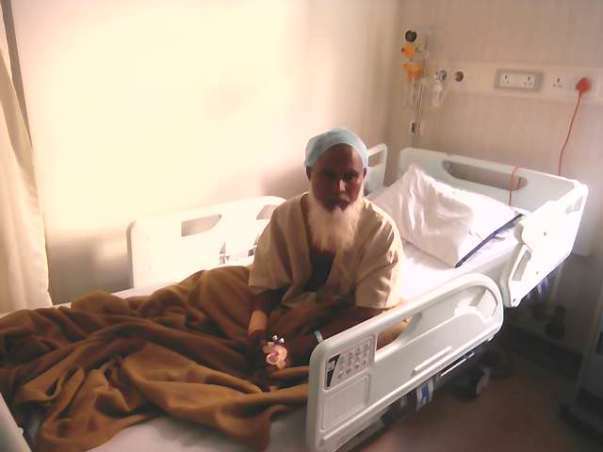 Hasan is no longer earning an income and hence does not have sufficient funds to pay for his treatment. The doctors have recommended angioplasty to ensure total recovery. Please help this husband arrange funds for his surgery and go back to his wife healthy and alive. 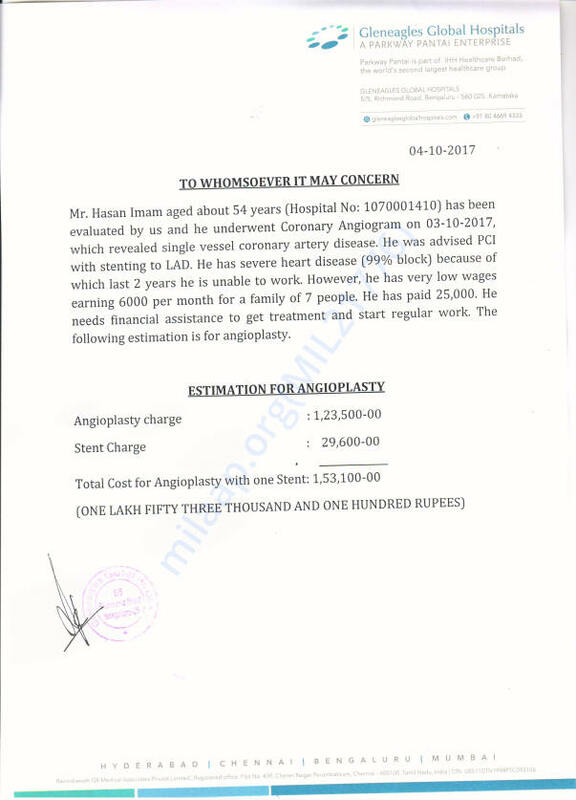 Funds raised through this fundraiser will go towards Hasan's angioplasty.